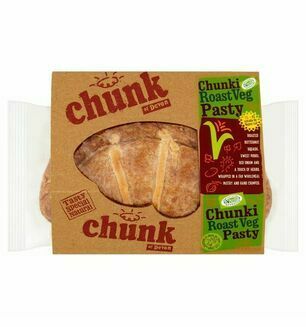 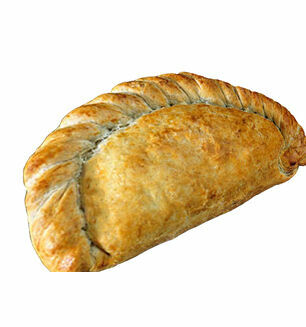 ‘Rustic Gourmet’ style pies and pasties from Chunk are made using only the best West Country ingredients. 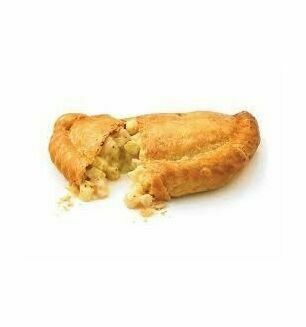 This delicious cheese, onion and potato filled pasty has butter like pastry which is packed full of flavour within its crumbly walls! 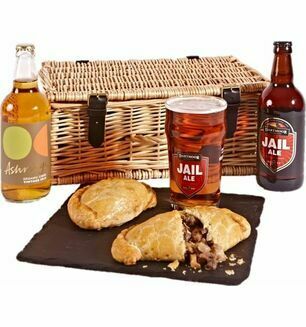 Fortified WHEAT Flour (calcium carbonate, iron, niacin and thiamine), potato, onion (13%), water, Mature Cheddar Cheese (MILK) (8%), vegetable shortening (RSPO Palm, Rapeseed oil), butter (MILK), whole pasteurised free range EGG, salt, black pepper, basil. 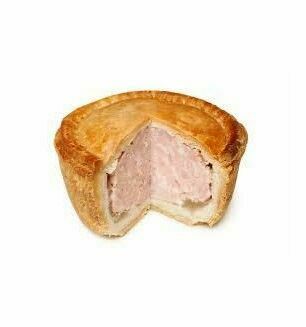 ALLERGENS: May contain traces of Mustard, Sesame Seed or Nuts.